We are constantly on the move, busy beyond measure, and somedays, we know we aren’t even going to come close to getting everything done. 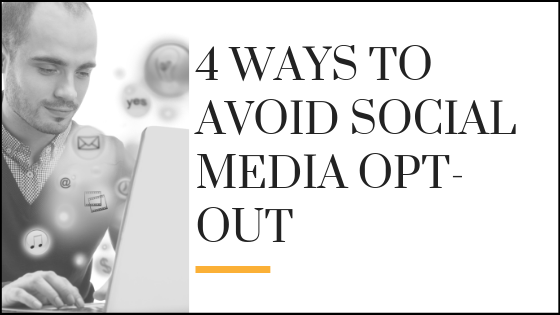 How do you make sure that your audience won’t opt out of your social media feeds, or worse yet, you opt out of this powerful marketing process due to a lack of time and focus? Remember: Staying consistent when using social media builds trust and integrity. It also builds relationships with your audience on several levels which translate to engagement, and then, sales and bookings. Leveraging your social media presence properly and effectively means that you can be everywhere at once. It also means you are in front of your audience when they have the time to check in with you. So how do you stay consistent with social media… how do you show up when you have a million other things to do? What if you’re just not that into it? Here are 4 tips to help you tackle this challenging, but rewarding, aspect of your speaker marketing plan. 1. Take a deep breath so you can focus and visualize where your audience is most likely to not only hangout on social media, but engage, like and share things with their friends, networks and circles. Then pick only a few social sites. You’re going to use a very streamlined approach to getting yourself out there. Many think they need to be on every social site to get found, heard and seen. I want you to pick 2-3 that work for you and your audience. Is it Facebook, LinkedIn and Instagram? Then use those. Is it Google+, Pinterest and Twitter? Do those. Just know it is ok to not be on all social sites. If you find that time allows, add another social site, but only after you have the most important ones under control. It’s much better to be active and engaging on 2 outlets, than sending out crickets and dead air on 10. Social Media Dead Air Will Get You No Where. 2. Find a social media calendar template to help you with scheduling your posts and tracking engagement. There are many free versions online. I like to use Google calendar for my scheduling. Decide which days you will post and mark your calendar. Use your outlets insights to know when your audience is most likely to be online. Jot down your topics and on which sites to post. If you organize your schedule each month, it will make it so much easier to stay on track with fresh content your audience will find relevant and helpful. Relevant + Helpful = Likes, Shares & Retweets – This is how you tap into the wider networks of your audience to broaden your reach to new followers, fans and buyers. 3. It’s all about Batch scheduling. You probably are familiar with Batching, but if not, let me share how I did it myself. I block off a couple of days month as my “Batch Days”. Then I try to shut everything out, as best I can, and focus on my blog posts, editing, social posting, podcast recording & editing, and all things social. I schedule 2 -3 batch days a month where I spend a dedicated 2 hours (minimum) creating and scheduling posts for Facebook, Instagram and the other platforms I use. There are a lot of automated schedulers out there to do this for you. You put in a few hours a month, and the scheduler doles out your posts per your instructions. It’s almost like putting your airtime on auto-pilot. 4. No time to Batch It? Outsource your social media. Hire a virtual assistant or biz support specialist to help you knock it out. This is the holy grail of time-leveraging. Having other people on your team doing the things you don’t need to do, so that you can focus on the things that only you can do. There are pros out there who love the social marketing & posting-process and live out loud on social media themselves. It just makes sense to tap into their skills, passion and knowledge on the platforms you want managed. Then sit back and watch your online presence grow and grow. Whether it’s content curation, post moderation, original content writing, or simply monitoring your online reputation, this person is a key team member to help you grow your speaking business. These steps certainly made all the difference for me in my online business. Will you take the challenge to banish social media opt-out and use a streamlined approach, batching, scheduling and outsourcing to take your speaking business to the next level? Ready to level up your speaking biz? Join our FREE Facebook group of awesome speakers over at “Grow Your Speaking Biz” See you over there!